It’s so easy to get lost in the maize-like Tokyo subway network with so many different exits and intricate routes. It’s difficult for even the native Japanese people! So it’s natural to think it gives a headache to many foreign visitors. But once you master it, it’s such a convenient transportation means. Here comes the basics of how to use Tokyo subways. There are 13 different subway lines in Tokyo. They are all interwoven and you can transfer from one to another seamlessly. Sometimes, one station would have 2-3 lines intersecting and stations like “Otemachi” or “Shinjuku” has even more and are functioning as a terminal station. 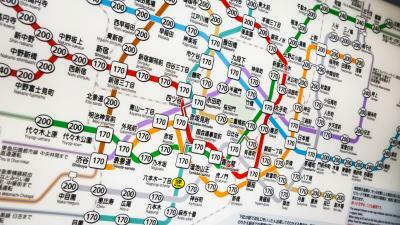 Using Tokyo subway means mastering “transferring” from one line to another. Even if you find your starting point and destination sitting along different subway lines, it can be quick a short ride of subway to get there. One item you need to be aware of is “Renraku Josha-ken (connecting ticket)”. The 13 different kinds of subway is run by either one of the two companies, “Toei Subway” or “Tokyo Metro” and they have different fare system. But if you have this “Renraku Josha-ken (connecting ticket)”, you can save some money going the whole trip than buying tickets separately. For instance, for going from Kasai station where “Subway Museum” stands close by to Ryogoku station where the Sumo “Ryogoku Kokugikan”, normal tickets will cost 200 yen from Kasai-station to Monzen-nakacho station on Tokyo Metro and Monzen-nakacho to Ryogoku station on Toei Subway 180 yen, so in total 380 yen. But the connecting ticket you buy at the starting station, Kasai, will cost only 310 yen to get to Ryogoku station. To buy a connecting ticket, go to any ticket vending machine and press the “Connecting ticket” button and then find the name of the destination station, Ryogoku. It’s as simple as that. Another handy item is “1-Day ticket”. There are several kinds: “Tokyo Metro 1 Day Open Ticket”, “Common One-Day Ticket for Tokyo Metro & Toei Subway”, “ Tokyo Combination Ticket” allowing unlimited rides on Tokyo Metro, Toei Subway and all JR lines within the Tokyo metropolitan area fro one day. If you will be getting on and off of trains throughout a day, this is the ticket to go with. Purchasing the pre-paid electric money “PASMO” is another way to go about. You purchase and charge the card in advance so you don’t need to buy ticket every time you get on a train. The fare charged to the card will automatically be that of discounted aforementioned “connecting ticket” fare, and then they will give you some more discount for using pre-paid card. So this is how you get to get on a train in the cheapest way. 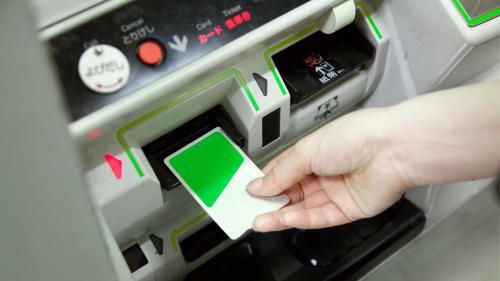 You can purchase the PASMO card from station kiosk or from a ticket vending machine with 500 yen deposit money. If you are not confident figuring out what ticket to buy each time, I advise you to get this “PASMO” at the beginning of your stay. 500 yen deposit will be refunded upon returning the card, so if you process that, no extra charge for using the card in any way. The official app “Tokyo Metro App” available for free is another recommended item. You can search how to transfer between trains of Tokyo Metro and Toei Subway. It’s available in English/Chinese/Korean and if you input name of an sightseeing spot, it will give you which station to find in the neighborhood of where you are right now and which station to get to. It also gives you detailed information of which exit of a station you should come out from and if there is any delays of trains in a timely manner. It will be a useful tool for Tokyo sightseeing! A concierge for visiting Japan. He visits every corner of Japan to discover unique charms of various regions. He is the editor chief of a multi-language web-magazine targeting foreign tourist visiting Japan. He is crisscrossing the nation relentlessly to dig up so many yet-to-be-discovered charms and beauties of various region, of landscape, food culture and manufacturing. His biggest joy is to invite tourists who came from overseas to together enjoy special Japanese sake he loves and seasonal food he coordinates. The most up-to-date information is being sent.